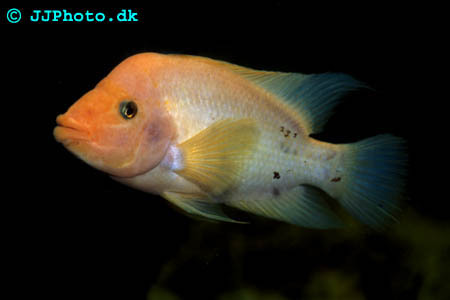 Company: Should only be kept with other fishes of equal size and aggression..
Aquarium setup: Amphilophus labiatus (Red Devil) Should be kept in large aquarium that are decorated so that a lot of naturl territorial borders are created. The aquarium should have a lot of free space to swim on. Try to limit the line of site in the aquarium to reduce aggression. Will uproot any planted plants kept in the aquarium. 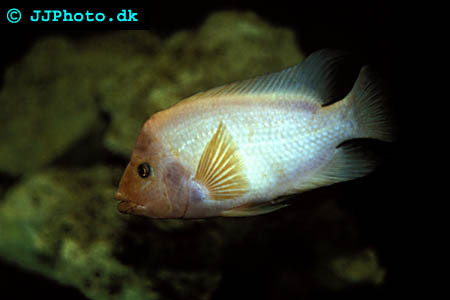 Feeding: Amphilophus labiatus (Red Devil) sometimes accept dry food. Breeding: Amphilophus labiatus (Red Devil) is a substrate spawner and lays their eggs on a flat stone that the pair clean in advance. One spawning results in more then 100 fry. Amphilophus labiatus (Red Devil) usually makes good parents.